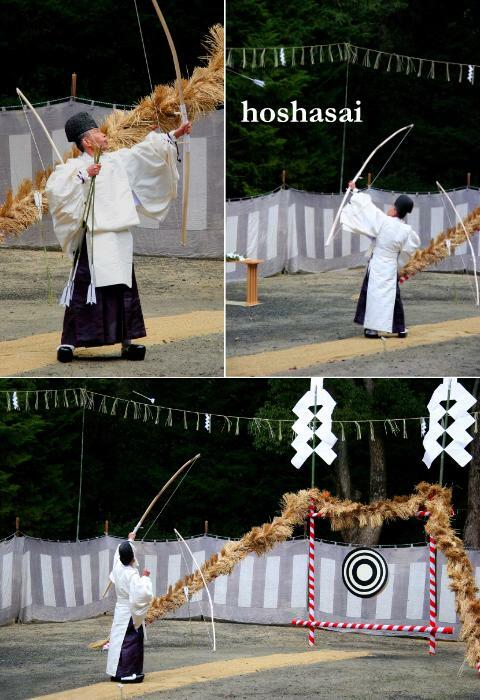 Hoshasai is a Japanese archery ceremony to exorcise evil spirits and to invite good fortune. 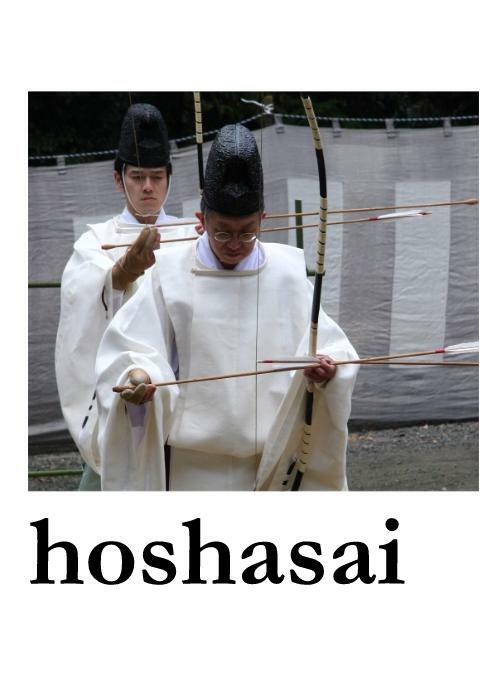 Hosha is a general term of the Japanese archery on foot in front of the gods. 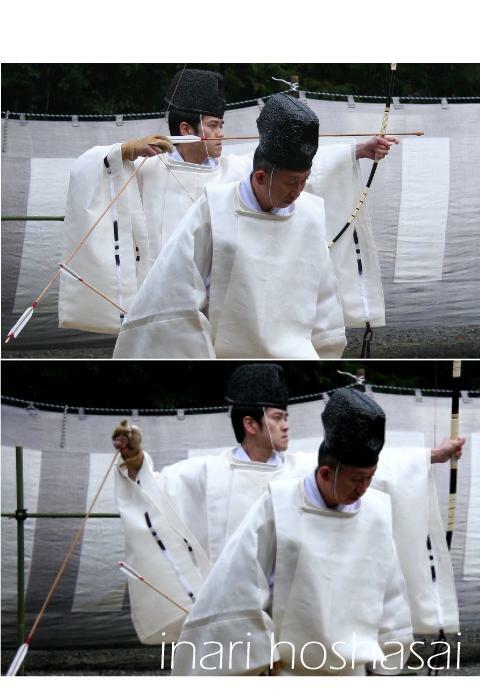 In this ceremony the archers first purify their bodies and minds and perform hairei in front of the shrine altar (one first bows deeply twice, then claps the hands twice, and then makes another deep bow). 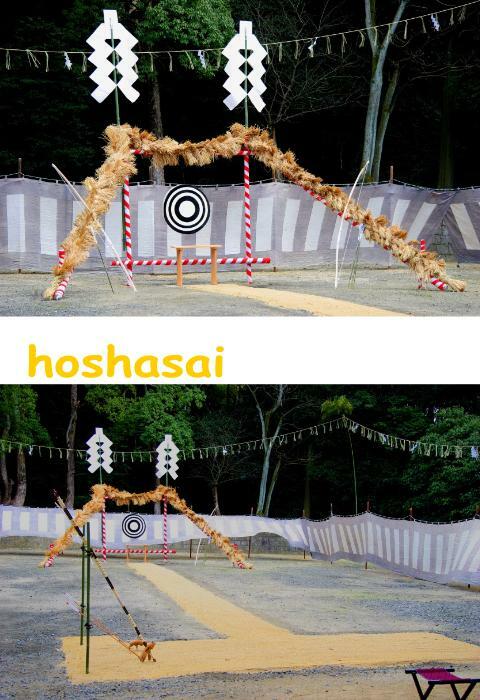 Then they conduct hosha by shooting arrows into the target. 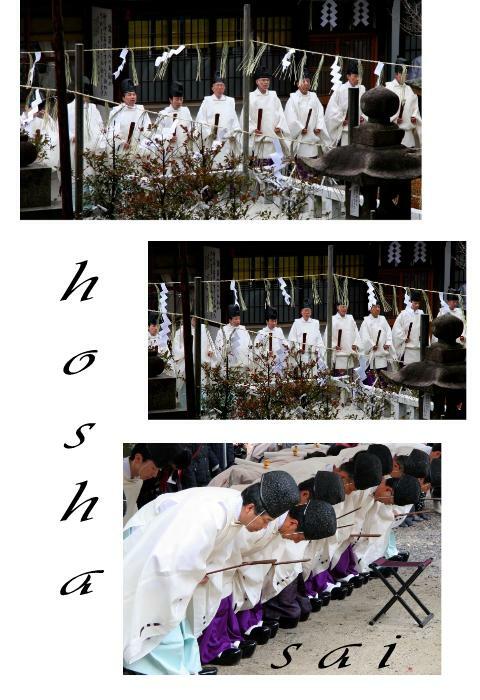 After hosha, the archers again advance to the altar and perform hairei. 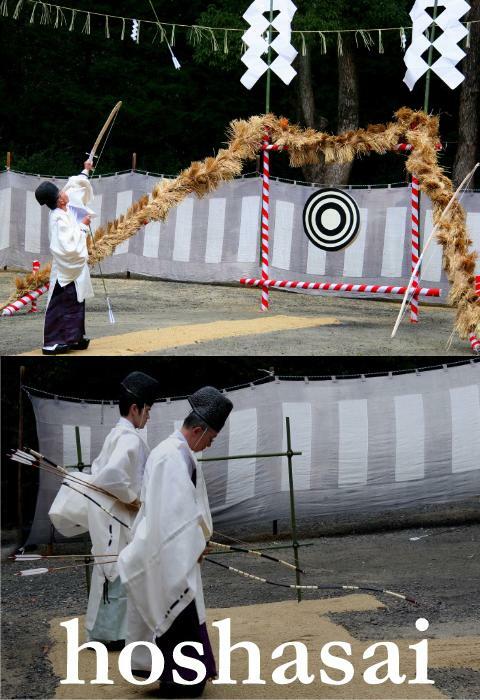 In old days offering shooting was performed by priests as representatives of common people. 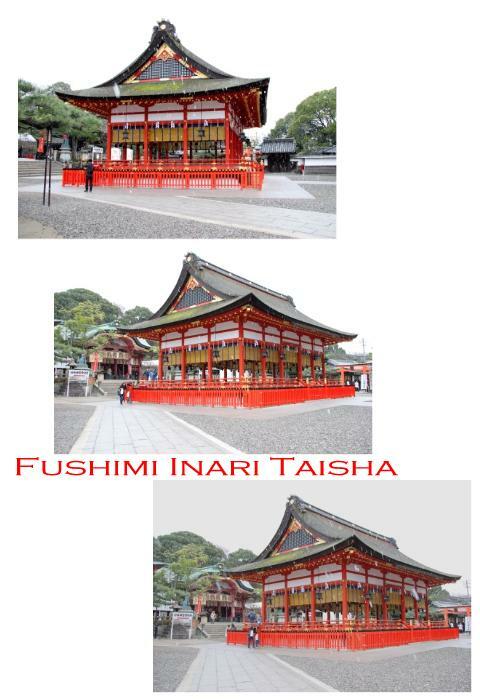 Fushimi Inari Taisha (伏見稲荷大社) is a shinto jinja (shrine) dedicated to the spirit of Inari and is the head of 30,000 Inari shrines nationwide. 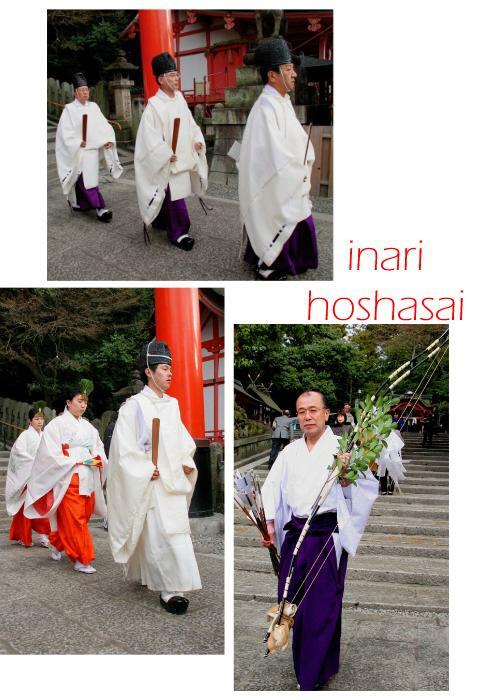 Inari is revered to as the god of harvest. 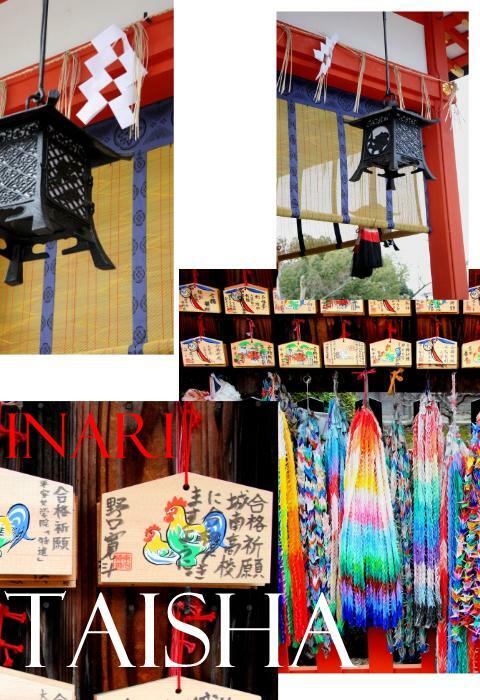 Kitsune (fox) is a messenger of Inari. 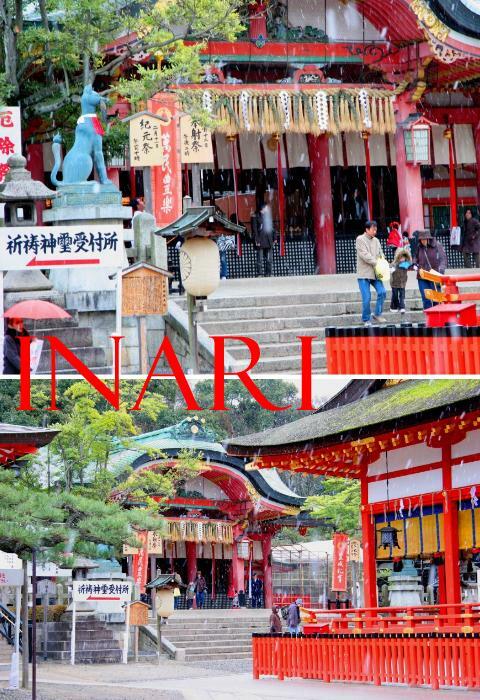 Inari shrine became associated with kitsune, when a kitsune couple sought shelter in the shrine. 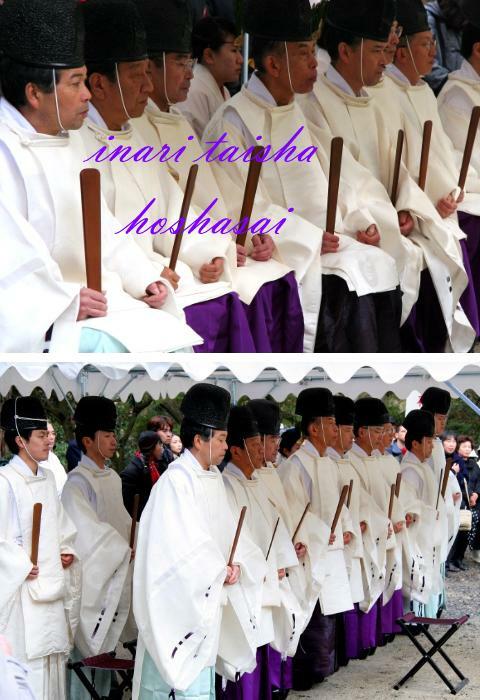 They, and their five children, were given sanctuary and protection by Inari, in exchange for their servitude. 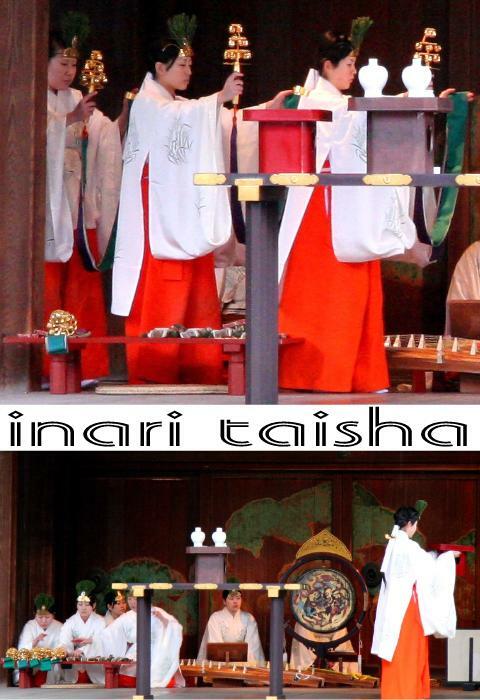 Each swore ten oaths to Inari. 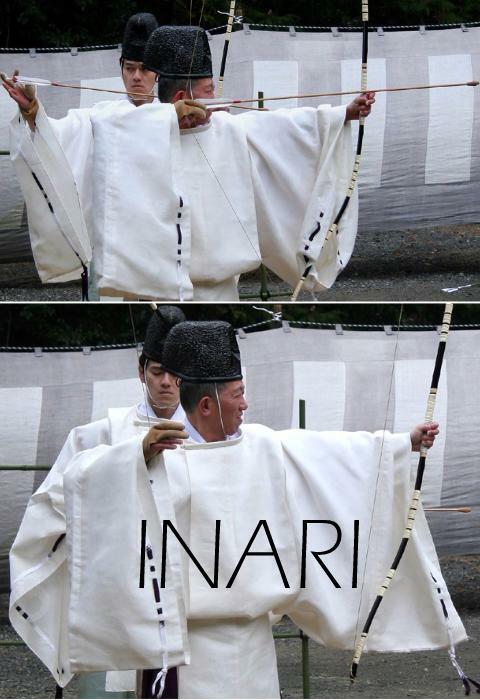 Since then, descendants have served Inari faithfully. 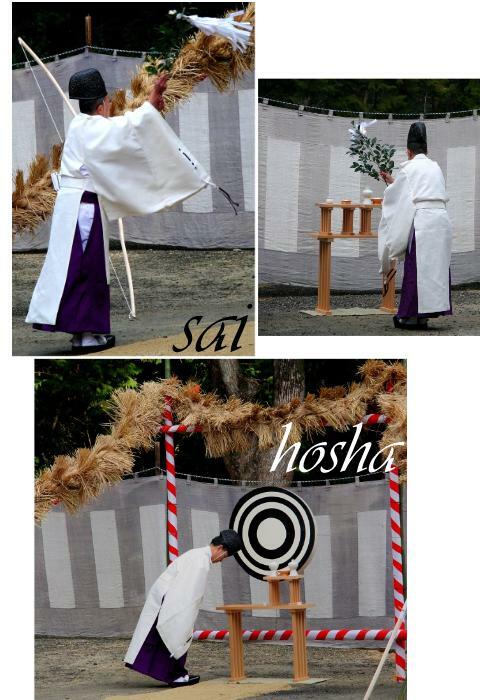 These oaths allow the kitsune to gain power through the shrine itself, and to be able to live there, and find shelter. 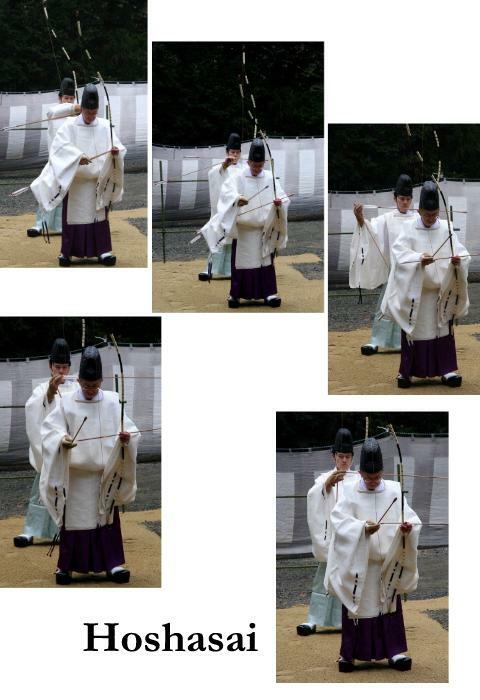 The kitsune, in turn, protects those who work and live near the shrine, and aid those who come to them for help. This especially applies to other kitsune. Nogitsune (wild fox) are not sworn to Inari's service, and are therefore capable of evil. 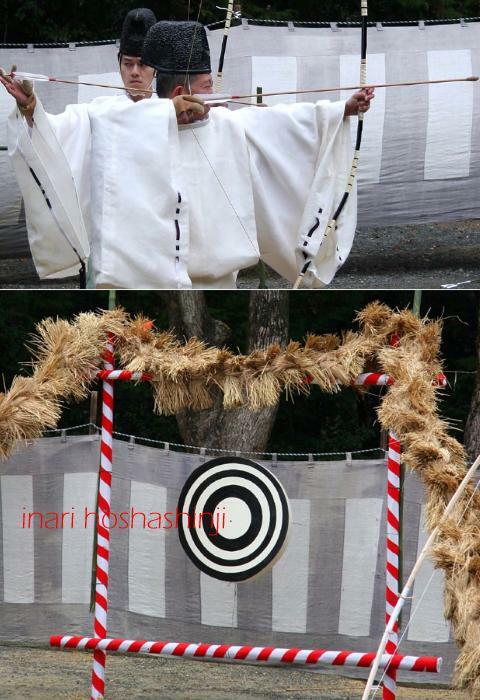 When a nogitsune starts harassing the people, they can come to the kitsune of Inari for aid. 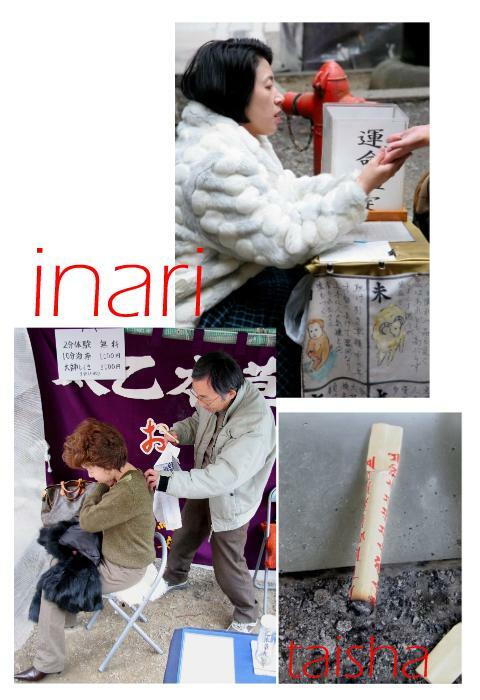 A woman who had been married many years and had not been blessed with a child prayed at Inari's shrine. 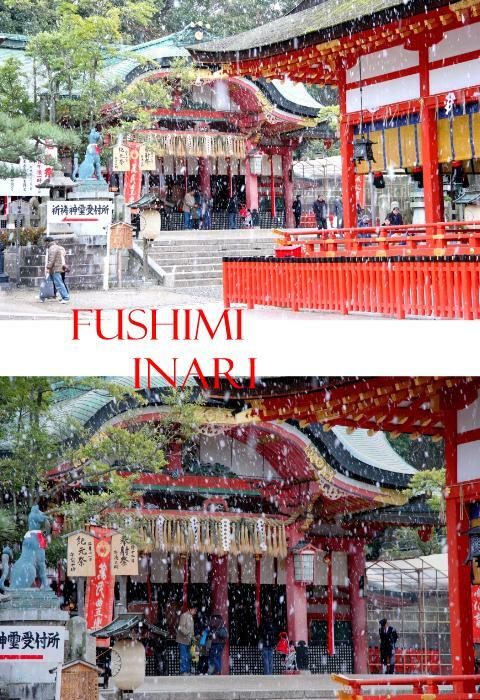 At the conclusion of her supplication the stone foxes wagged their tails, and snow began to fall. She regarded these phenomena as favourable omens. When the woman reached her home a beggar accosted her, and begged for something to eat. 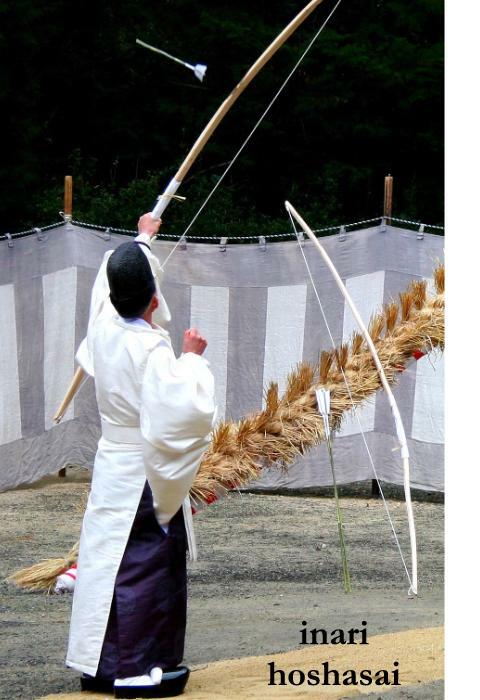 The woman good-naturedly gave this wayfarer some red bean rice, the only food she had in the house, and presented it to him in a dish. 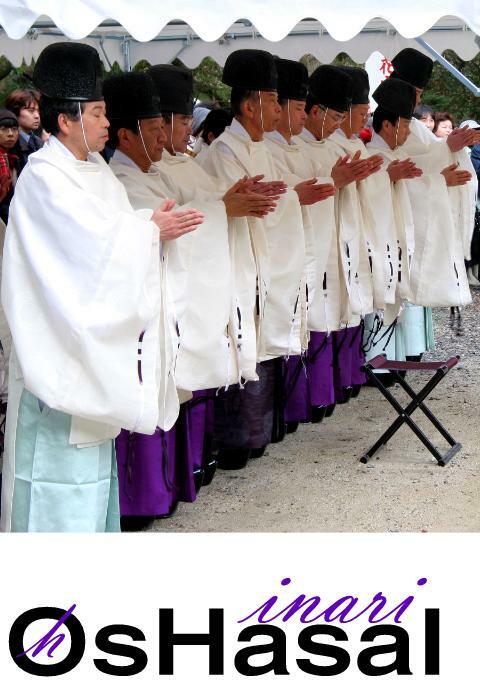 The next day her husband discovered this dish lying in front of the shrine where she had prayed. 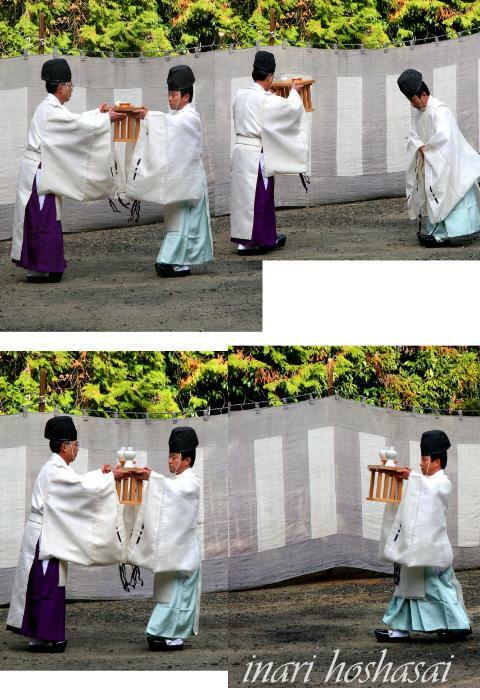 The beggar was none other than Inari himself, and the woman's generosity was rewarded in due season by the birth of a child.